(INDIANAPOLIS) February 27, 2018 – Ed Carpenter Racing announced today that the No. 21 Chevrolet of Spencer Pigot will feature the colors of car care superstore Autogeek.com for the Firestone Grand Prix of St. Petersburg. After a successful first year of partnership with ECR, Autogeek has expanded their relationship with the Indianapolis-based race team to include the primary sponsorship for the season-opening event. 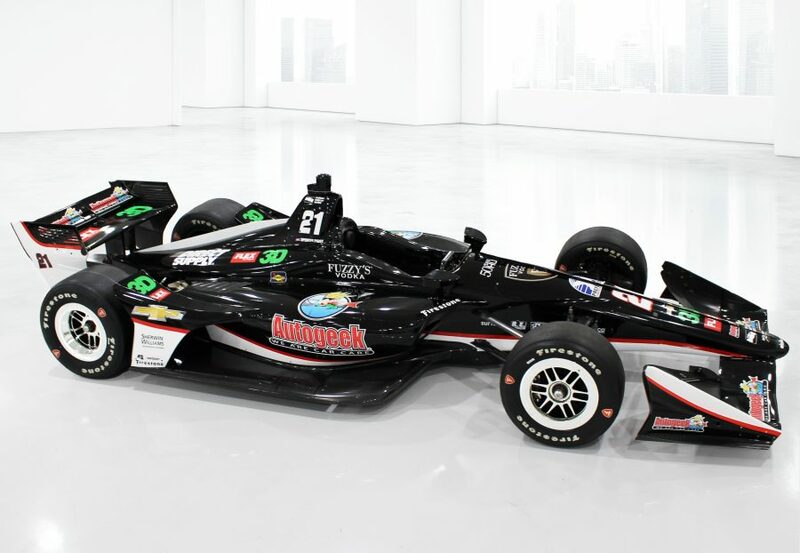 “We are excited to be a part of Ed Carpenter Racing along with two large partners of ours, FLEX Power Tools and Polishers and 3D-High Definition Car Care. FLEX and 3D, along with Autogeek, will be prominently displayed on Spencer’s car and helped make this effort possible,” said Terry Angstadt, Managing Director of Autogeek. Over the last 15 years, Autogeek has risen to become one of the most reputable and trusted sources for automotive detailing products and accessories. Headquartered in a 29,000-square-foot cutting edge facility in Stuart, Fla., Autogeek.com provides a wealth of car care know-how for detailers, hobbyists and car care enthusiasts. The online store features the largest selection of auto detailing supplies and tools, car care products and auto accessories. Website visitors also have access to an extensive library of how-to guides and instructional videos and an auto detailing forum for tips and how-to’s from other detailing enthusiasts. The Firestone Grand Prix of St. Petersburg will be Pigot’s first race in ECR’s No. 21 entry. Before joining the team midway through the 2016 season, Pigot made his Verizon IndyCar Series debut at St. Petersburg in 2016 with Rahal Letterman Lanigan Racing. After becoming the first driver to retain ECR’s road and street course seat for a second year, Pigot has been elevated to the team’s full-time No. 21 entry for 2018. The 1.8-mile, 14-turn street circuit is also home to Pigot’s best qualifying position to date, as he started 13th in 2017 after he missed advancing to the second round of qualifications by a mere 0.04 seconds. Practice for the Firestone Grand Prix of St. Petersburg will take place on Friday, March 9 and Saturday, March 10, followed by qualifications on Saturday afternoon. The 2018 Verizon IndyCar Series will officially begin at 12:30 p.m. ET on Sunday, March 11 at the drop of the green flag for the 110-lap race. The race will be broadcast live on ABC.